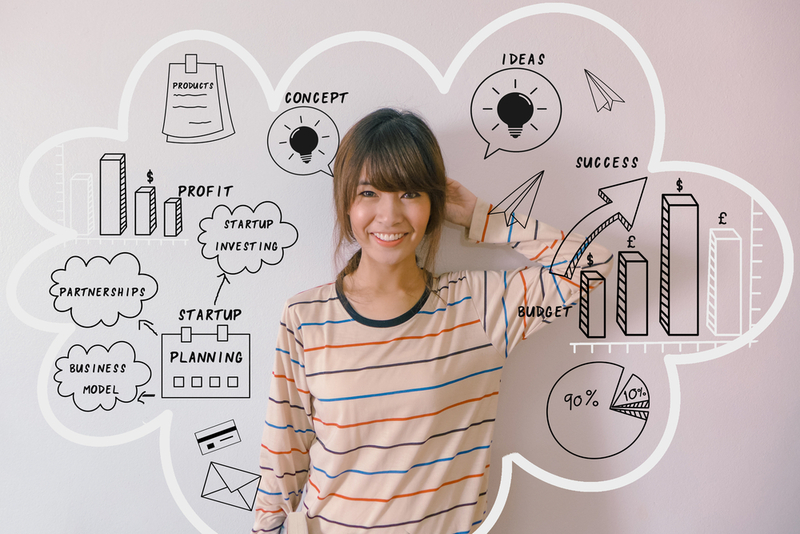 When you decide that your business idea is worth pursuing, you will inevitably need to come up with a plan and this has to involve your finances, too. There are plenty of things you will need to think about, apart from the obvious; your profit margins, your best and worst case scenario, your taxes and business licensing fees, your accreditation, and your trade insurance. Below you will find a few tips on how to plan your business finances and be prepared for emergencies. No matter which business you are starting, it is important that you create a budget for the first few months at least. This will help you survive the startup even when your business is not at its full capacity. Breaking even calculations should be done before you start, so you have the funds available to cover your employees’ salary and your running cost, as well as your initial investment into technology, tools, and business equipment. Of course, you will need to consider the cost of getting qualified staff or doing the job yourself. For example, if you are opening a business consultancy, you will need to have the updated knowledge of all the business and legal issues, and get accredited. In case you want to break into the property development or construction industry and use specialist equipment, such as a 30T excavator, you have to ensure that all your staff knows about the regulations and their training is up to date. Apart from predicting the point in the future when your business will break even, you will also have to look at your revenue. Don’t automatically assume that everything will work out as expected, and be prepared for changes in your business plan. After all, every idea is only as good as the results you get. There might be some changes in your market or customer behavior by the time you have your business running, so it is best to use a financial advisor to go through the figures with you. There are certain business costs you will have to cover to ensure that you maintain your reputation. When you are starting a business, you will have to pay your employees and the related HR costs. If you cannot keep your employees happy, you will need to make sure that the contracts are in order and you are complying with the employment law of your state, or you will face fine and bad reputation before your business would be fully operational. Apart from employee contracts, there are other legal issues you have to be careful with when starting a business. Registering your business name and your creatives, protecting your patents is important for two reasons: first of all, you can ensure that no other business can use the same name and marks as you, secondly you can prevent lawsuits and copyright cases initiated against your business. If you are looking to prevent expensive lawsuits and liability cases, and protect your business reputation, it is crucial that you have adequate insurance that doesn’t only cover your employees and your equipment and premises, but also your public liability. Let’s say that you carry out work in a community center and someone gets hurt, blaming you. If you don’t have a legal insurance cover, you will end up paying high legal costs and facing reputational damage. No matter if you start a business renting an office or a warehouse or are building your own, you need to get the funds available or end up paying the high interest rates. It is likely that you will need to pay property tax and other costs, on top of the running expenses, and this will soon add up. Property lease and insurance can be costly, so it might be better if you start small and enter a flexible contract, instead of tying yourself up with a deal that might not suit your future needs. If there is one thing sure in the business world, it is taxes. You will need to talk to a financial advisor and a tax specialist accountant before you choose your incorporation form, so you can make the most out of your startup tax allowances and your budget. It is always better to ask questions than to face unexpected bills and struggling to pay them. A good advisor will be able to give you the figures and the facts you need to plan your budget and your taxation. Every day running costs can add up. It might be a good idea to create a calculation of how much it would cost you to run your business every day and stay open every hour, so you can adjust your profit margins and prices. You might want to beat the competition, but if you are not covering the basic costs, there is simply no point going to business just to make a negative income. You will need to consider the regular expenses and the cost of materials and running your machinery or keeping the heating and lights on, too. One of the costs many people forget about when starting a business is related to marketing. When you are new in town, you will have to create awareness of your products or services, and the more money you invest in marketing the faster the results will be. While there are some low-cost digital marketing methods that will help you make the most out of your budget, you will have to spend money to make money. No matter how many newspaper ads you are creating and how well you communicate, your business will not survive without an online presence. That is why investing in a quality website that will showcase your talent and your value is essential. You might pay thousands of dollars for a website and social media branding package, but you can build trust and create a strong brand online that will result in your company getting noticed. If you don’t change with the times and technology, you will be a follower and not a leader. It is crucial that you take advantage of the research and development tax rebates, so you can continuously improve the products and services you offer to your clients. However, you will need to fund your investment initially, and that is why it is crucial that you have a long term vision for your business. From developing your own customer service method to doing your market research, there are several ways you can spread your R and D budget. In case you are importing or exporting goods, you should not forget about the tax duty and other costs of dealing with foreign entities. While you can calculate the cost and add it to the resale price, you will still need to fund your project, get the relevant international legislation and permits, and this will cost you a little bit more. In case you are not sure whether or not you can enter overseas markets, you should talk to an experienced business tax duty advisor to make a final decision before you jump head first. There are several costs associated with starting a business you might not have thought about. Before you create a business plan, consider the financial side of your idea and execution, and engage with professionals who can help you manage your startup budget.